I watched the above video (turn the sound up at the bottom right to hear the audio) of a millennial trying to use a rotary phone and immediately thought of Laila Ohlgren, the Polhem prize winner. I am lucky in my translation work to learn a great deal about all kinds of subjects and Laila’s brilliant idea has always fascinated me. If you look at the video you will see that the young boy tries to dial the number first and then lift up the receiver to connect, because that is the way you do it using a mobile phone. On those old phones what you did was lift the handset first to get the ring signal and THEN dial the number. [Interesting side note: phrases such as dial a number, pick up, and hang up come from the days of these old phones. It is also the reason that emergency numbers were easy to dial – 999 or 911. See reason below given by the wonderful Amanda]. 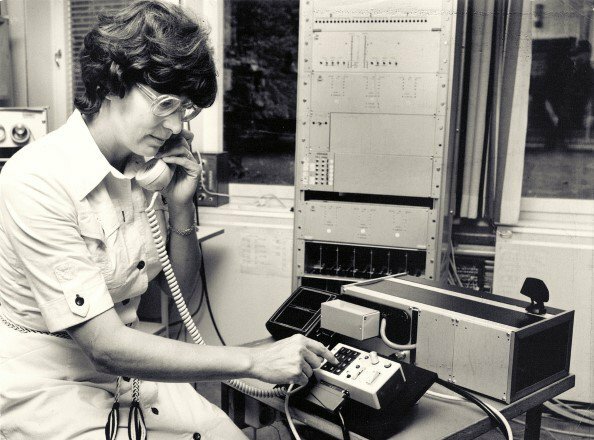 The woman who had the brilliant idea to reverse the procedure was engineer Laila Ohlgren, who worked at the Swedish telecommunication authority in the 1970s. This authority was developing mobile phone and cellular tower technology at the time. They rode around Stockholm trying to make calls and found out that by the time they had dialled the number, they had lost the connection to the cellular tower. So Ms Ohlgren had the brilliant idea of dialling the number first and then connecting to the tower for a signal. And it has been like that ever since. 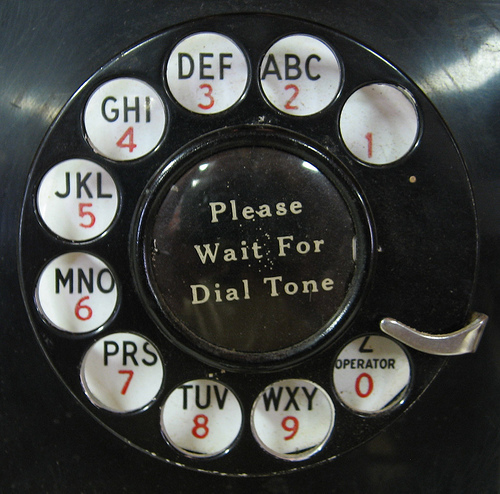 On UK rotary phones, 9 is the farthest/longest to dial. I’d always been told that 999 was chosen for the emergency number as it would be easy to locate the number 9 if you couldn’t actually see the dial (because of smoke for example). It’s certainly the longest number to dial. You are probably correct for all other countries as well Amanda – it has been so long since I have seen a phone dial I must have forgotten. Let me check! Your picture shows the 9 at the bottom, next to 0 for the operator. This is the same as for my 1940s rotary phone.